I do not know how one precisely judges the success of a party, but if everyone else had even half as much fun as I had, then the party was a roaring success. It was a pleasure to rekindle old friendships. I enjoyed reliving old memories, and the evening was just plain a whole hell of a lot of fun. In fact, there are people already mumbling about having another party next year, a thought that bears serious consideration. If you would like to weigh in on the question, please click on "Welcome Classmates" on the menu bar to the left and go to the bottom of the page where you will find an option to vote. Speaking for the committee, we did enjoy putting the party together, and it is gratifying to see a project come to a successful conclusion. So thanks to all of you who attended. Let's use our website to stay closer in touch, and perhaps we will have another party next year. HAPPY HALLOWEEN! NINE DAYS TO GO!!!!! In case anyone is wondering about the preferred dress for the party, that would be "Business Casual and/or Dressy Casual." Sports jackets for men (no ties). Don't forget, Party time is 6 p.m. to 11 p. m.
If anyone is still thinking about attending but hasn't sent money, please do so ASAP. CORRECTION!!!!! It has come to our attention that the letter that was mailed to classmates about the upcoming birthday party included a typo regarding the time that the party will start. The email invitations that were sent were correct; it is only the invitations that were mailed prior to September 29th that were incorrect. THE PARTY WILL BEGIN AT 6 p.m NOT 8 p.m. Put a big red circle (or if you have red-green color blindness, perhaps a blue or gold circle) around Friday, November 9, 2018. This is the date on which we have scheduled a 75th birthday party for our class. We are looking forward to having a really wonderful time, and we are hoping that many of our classmates will attend. Click on the "75th Birthday Party" link to the left for up-to-date information on this event. We recently learned of the passing of Sheila Dianne (Hardy) Reeves on December 27, 2017. We had reached out to her when we were contacting classmates for our 55th Class Reunion, and received a note from her daughter, Anne Urizar, that Dianne was suffering from Alzheimer's disease and was having difficulty conversing. Anne said that she would have liked to bring her mom to the reunion but she thought it would be more than she could handle. Steve Trawick has been released from the hospital. He's very weak and needs to work on getting his strength back. Our Classmate, Gertie Hamilton Pietro, passed away on Tuesday in Ballwin, Missouri. Gertie's obituary can be found on our In Remembrance page where you can also share a personal memory or tribute. Steve Trawick has been moved to the post surgery floor. Almost all the tubes have been removed and he is off the opiods and onto Tylenol. He said the hallucinations weren't fun! Lucy reports that Steve sat up for an hour and half and did his breathing exercises in the afternoon. The doctor says he is doing well. He is quite sedated with meds and sleeping a lot. They say that he is on track to get out of ICU tomorrow. Steve Trawick had quadruple bypass surgery on Friday morning at Emory University (main) Hospital. Dr. David Vegas was his surgeon. The surgery was 7 hours long. He is currently in ICU and off the ventilator. We will continue to update this page with his condition. Please keep your prayers coming. Steve Trawick will have bypass surgery tomorrow. Please continue to pray for him. We have had a good day of tests, doctors visits and visits from our Atlanta friends and relatives. Steve's Emory frat brothers and other college friends have come by to give him encouragement. His cousin, who's like another sister to him, and her son came too. All are praying for him to test well Tuesday so that he can have a procedure, either quad bypass or stents, so he can live a good quality of life. We appreciate your concern and covet your prayers. I have always felt a part of the PHS Class of '61. Thank you all. I was transported to Emory and hope that they can find some alternative treatments for me. I was given either die or live with the condition I have. I cannot live as I am right now, so today brings new hopes and challenges as we progress forward. I have no idea what the future holds for me. Steve has suffered an "ischemic event." A lot of things came together to cause him to lose blood pressure and he was unable to catch his breath. I called 911 and we ended up in the cardiac ICU at Sacred Heart. We feel very well taken care of and Steve is stabilized and has slept all day. We expect to eventually move down to Progressive Care and when we're home we'll go to the cardiac clinic once a week for monitoring. Chemo stopped for now until alternate therapies are determined. No heart surgery until all is well - eventually. Thanks for all of your prayers. I want to thank you for all of your prayers as I continue to conform to the requests of the physicians in my battle with Non-Hodgkins Lymphoma. I have had a curve ball thrown at me yesterday as I underwent a heart cath procedure. I went in hoping that they wouldn't find a whole lot and also with the idea that they may put in 1 or 2 stents. When the procedure was over, he explained to me that I had too many blockages and a stent would do me little good. I met with a cardiologist and a cardiovascular surgeon and they conveyed to me that I would need open heart surgery. Boy, what a shock that was for me. I have been active all my life, but I guess that I couldn't over ride the genetic code that I was dealt. Since the chemo diminishes my platelet count, I cannot have the surgery until after the chemo has been completed, so I am looking at May to June with the possibility of this surgery. I am committed to walking every day and praying that some miracle can occur. Please continue your prayers as I progress this difficult path. Merry Christmas to you all and here's to a wonderful New Year in 2018. Sincerely, Steve Trawick. ​A very happy 2017 to friends and classmates. Sadly the beginning of the new year brings news of another classmate's passing. Terry Garvin died at his home on December 28th. His obituary has been added to our remembrance page, where you can add a personal tribute or memory of Terry. We would like to give A Special Thank you to Sue Markham and the Committee for allowing Ricardo Graphics Studio the opportunity to document your Special Occasion. 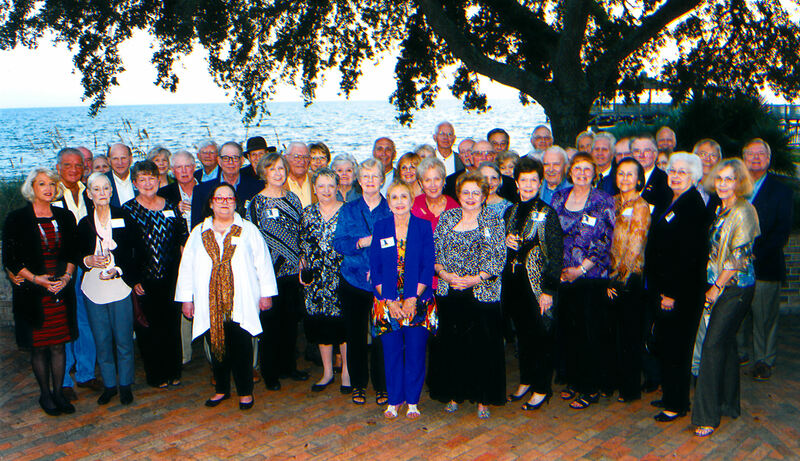 The Reunion Photos are posted on our website. You may order online or call us Direct (251) 928-3440 to place new or additional orders. Once you are on our website, click on your catalog link. You will then be on our advertisement page. Click anywhere on the advertisement page to get to your catalog. YOUR CATALOG IS TITLED: Pensacola High School. You will then click on the first photo in the album. You may view as a slideshow or one photo at a time. When you call us, we will need the number above your photo (Example: 1 of 185) or the number below your photo (Example DSC# or the ED#), along with the size and color preference. Your photos will be proofed and enhanced prior to printing and mail-out. Please play around with the different color options, as you may like your order with the various color options available. (Black & White, Sepia, Retro or Color). Orders placed by calling us direct will be mailed within 3-5 business days. Orders placed on-line will be mailed within 7-10 business days after the order is placed (excluding books and dvds). The Memory DVDs and Books will be mailed within 6-8 weeks (approximately 2 months) after the event. If any one has photos that they would like to add, please email them to us and we will include them as long as they are legible and clear. 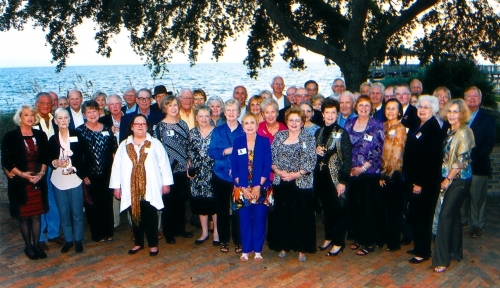 The above photograph of classmates and spouses was taken outside the ballroom at The Grand Hotel on Thursday evening. A photographer was hired for both evenings, so there will many more photos to come and they will be displayed on the Photograph Album page of the website. In the meantime, it is safe to say that a wonderful time was had by all who attended the celebration. It was two nights filled with old music, old memories and most importantly old friends. If you weren't able to join us, we did, indeed, miss you. Today's the Day!!! Reunion Time is here! Please click HERE for the revised schedule of events for this evening. Only four days left until the reunion! Unfortunately, we won't be able to have S'mores on the beach around a bonfire Wednesday evening. The fire marshall just informed the hotel there are to be NO bonfires due to the drought. We are working on an alternative plan and will post it here as soon as something can be arranged. Keep checking. We should have an answer by Monday. A copy of Leon's obituary can be found on our Remembrance page, where you can also add a tribute or special memory of Leon. There is barely a month to go before the deadline for payment for the reunion activities. PLEASE, if you are planning to come, let Sue Markham know now. Click "HERE" for a printable Reservation Form. If you are unable to join us, we would appreciate it if you could take the time to update the information that we have on file for you, either by going to your profile on the "Classmate Profiles" link or entering it on the form found in the "Stay in Touch" link. We have mailed over 300 letters to classmates about the reunion and they are being returned every day for incorrect addresses. The "Who's Missing" section is increasing daily. Please look at the list to see if your name or the names of friends are there. Remember that old tune by The Coasters, Searchin'? Well consider yourselves deputized as our "Northwest Mounties" and start searchin'. I bet that tune is is now running around in your brain, isn't it? ...gonna find them...gonna find them...gonna find them. So far we have contacted 394 classmates about our upcoming reunion, 92 through email and 302 letters sent by US Mail. (Click "HERE " to read the letter. ) If you want this reunion to take place, PLEASE let us know soon since it can't happen without sufficient participation. Please don't wait until the deadline to respond. By then it may be too late! WE HOPE TO HEAR FROM YOU SOON!!!!! Coach Jimmy Haynes passed away today at the age of 92. He was featured in an article published the next day in the Pensacola News Journal. 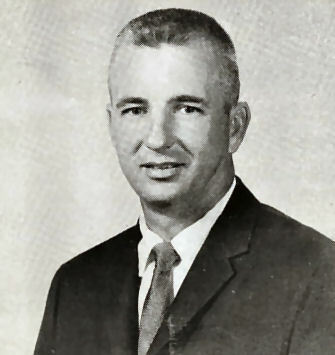 Click *HERE* to read the tribute to Coach Haynes entitled "Former Players Fondly Remember PHS Coach Jimmy Haynes." You can find his obituary on our "In Remembrance" page. You will also be able to offer any personal thoughts, memories, or tributes to him there.